What You Need to Know about Thyroid Gland Extracts - YeastInfection.Org by Eric Bakker N.D.
Can a yeast infection cause hypothyroidism? According to Dr. William Crook (The Yeast Connection and the Woman, 1995) it can. I have certainly noticed a connection between them both, and have seen countless female patients who have both a yeast infection and suffer from hypothyroidism. But whether a yeast infection causes hypothyroidism, or the other way around is something I wouldn’t really know, but I certainly have noticed some type of connection in many women. This may be co-incidental when you think about it, because many experts believe that as many as 40 to 50 percent of the female population will suffer with hypothyroidism to some degree, and it is highly likely that the percentages will be equally as high when it comes to yeast infection in women. I certainly do believe that any autoimmune condition, like Hashimoto’s thyroiditis, can make a person more susceptible to a bacterial, viral or fungal infection. Dr. Orion Truss, M.D., one of the first doctors to recognize that candida yeast infections actually caused ill health in humans stated the following “When tests are done on oestrogen levels, thyroid hormone levels, or other hormone levels and in people suffering from the symptoms of candida overgrowth, the hormones are there in the bloodstream, but they are not activating any response.” Dr. Truss believed that certain toxins produced by a yeast infection in some way reduce the body’s tissues from responding normally to hormones. He was probably referring to the toxic yeast metabolites, something not really studied in depth in the days of Dr. Truss. These toxins may also directly affect the functioning of the glands themselves, such as the thyroid gland. There certainly is a large concern amongst natural health-care professionals that conventional medicine is paying little attention to the growing hypothyroid epidemic. It has even been estimated in the USA alone that as many as 60 percent of more of the entire population suffers from hypothyroidism to some degree. Dr. E. Chester Ridgway, (Chief Endocrinologist, University of Colorado), believes this figure to be as high as a staggering 70 percent. 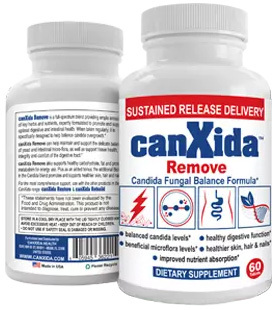 Many of the symptoms of candida in fact mirror those of hypothyroidism, such as constipation, brain fog and poor concentration, lack of focus, and cold hands and feet. Yet the blood tests all come back within normal range when it comes to the thyroid hormones. What I have noticed with some patients is that when they started the Candida Crusher Program, within three to four months many of their hypothyroid signs and symptoms were gone, completely gone. I’m not for one moment saying that all hypothyroid patients respond to yeast infection treatment, but some certainly do, and some magnificently. Once I started noticing this, I would include a thyroid glandular and the results are amazing to say the least. If you have a yeast infection and can relate to hypothyroidism, seek the advice of a health-care professional with experience in glandular therapy, you may benefit from Armour therapy. I would prefer you seek this treatment before a medical doctor decides to place you on Synthroid, a synthetic thyroid hormone replacement drug.